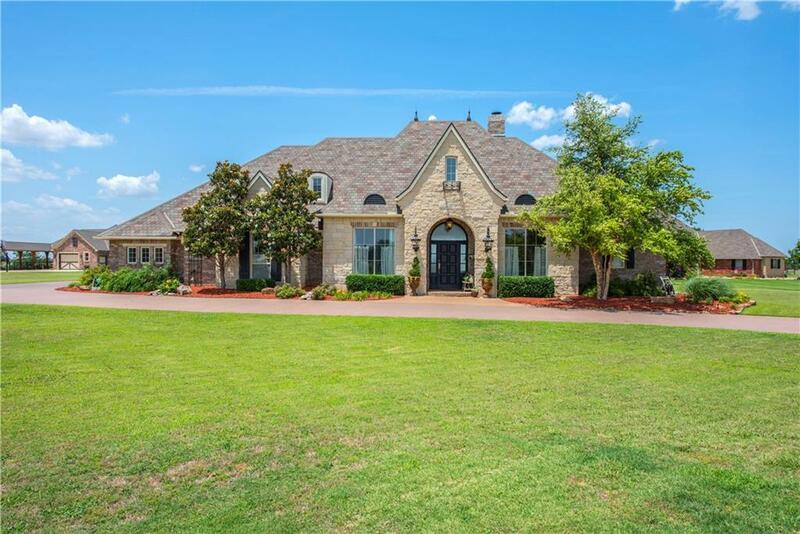 Fabulous home with so many upgrades and amenities! Large picture windows with panoramic views from every room. Timeless flooring throughout; wood, slate and travertine. New carpet in secondary bedrooms. "Open" kitchen, living and dining areas. Kitchen offers built-in frig, island w/cooktop, double ovens, built-in corner eating area, custom cabinetry and stunning granite. Family room with amazing cast stone fireplace flanked by opened shelving and built-in. Elegant office/study with built-in desk, cabinets and wood beams. Large bedrooms and closets. Master suite has spa like bath with his/hers vanities, whirlpool tub and oversized walk-in shower. Master closet will not disappoint, plenty of space and storage. Over one acre corner lot with manicured landscaping and lovely perennials and trees. Side car garage with large inground storm shelter. 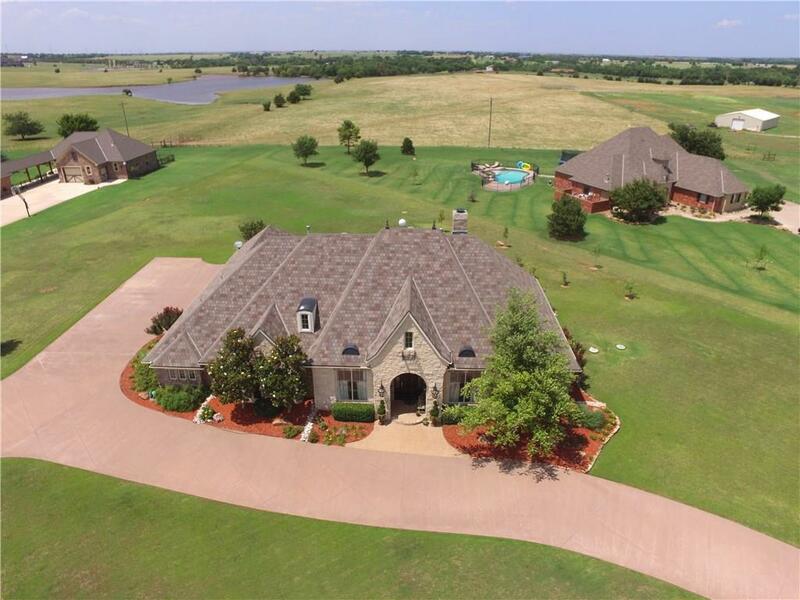 Offered by Jo Ann Patterson of Keller Williams Central Ok Ed. 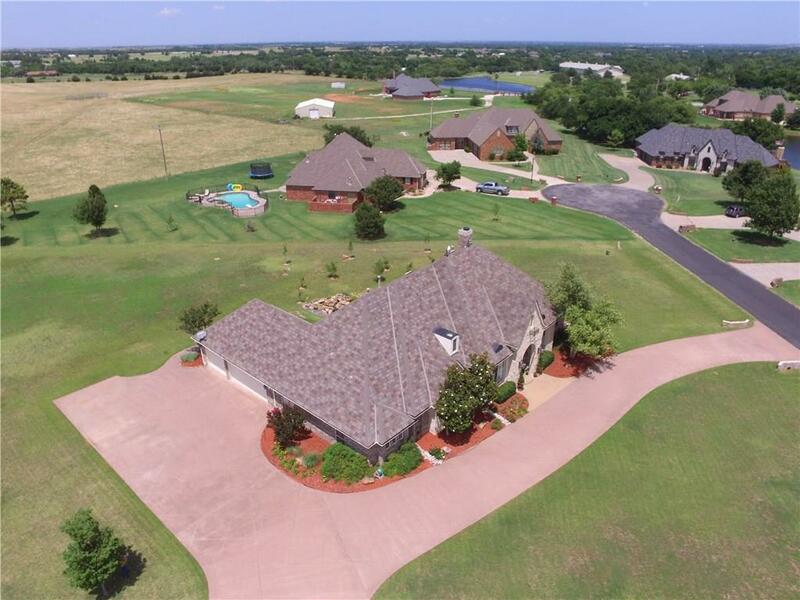 Listing provided courtesy of Jo Ann Patterson of Keller Williams Central Ok Ed.